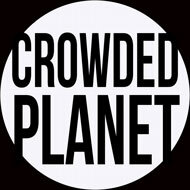 GR: The potential for runaway global warming is growing. This is an important article that we shouldn’t ignored. Of course, one might argue that when you are chained across the railroad tracks, you might as well ignore the approaching train. If that’s where we are, perhaps its time for the Champaign. “At a time when a huge pulse of uncertainty has been injected into the global project to stop the planet’s warming, scientists have just raised the stakes even further. “In a massive new study published Wednesday in the influential journal Nature, no less than 50 authors from around the world document a so-called climate system “feedback” that, they say, could make global warming considerably worse over the coming decades. “That feedback involves the planet’s soils, which are a massive repository of carbon due to the plants and roots that have grown and died in them, in many cases over vast time periods (plants pull in carbon from the air through photosynthesis and use it to fuel their growth). It has long been feared that as warming increases, the microorganisms living in these soils would respond by very naturally upping their rate of respiration, a process that in turn releases carbon dioxide or methane, leading greenhouse gases. “It’s this concern that the new study validates. 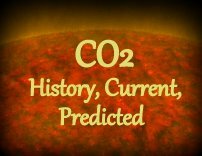 “Our analysis provides empirical support for the long-held concern that rising temperatures stimulate the loss of soil C to the atmosphere, driving a positive land C–climate feedback that could accelerate planetary warming over the twenty-first century,” the paper reports. This entry was posted in Climate Change, Desertification, Global Warming, greenhouse-gas, Methane, Soil, Soil Microorganisms and tagged methane, soil by GarryRogers. Bookmark the permalink.